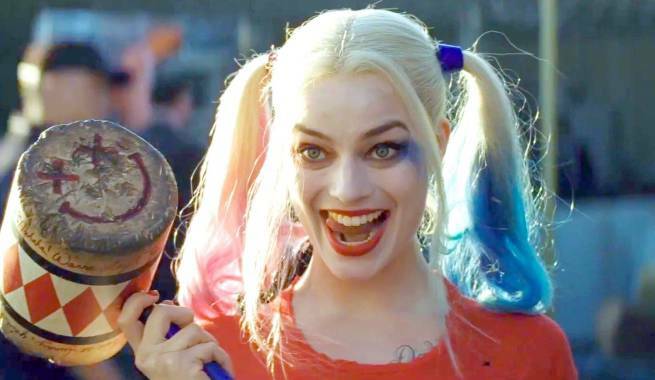 Back in May, reports surfaced of plans at Warner Bros. for a Suicide Squad spin-off movie featuring Margot Robbie as Harley Quinn. Those plans weren’t specifically for a solo movie – the film was said to feature Batgirl and the Birds of Prey, in addition to a heavy dose of Harley – but the news still excited Harley’s formidable fanbase. On a post-screening Suicide Squad press line, Canadian outlet Tribute asked Robbie about plans for her to star in a “solo” Harley Quinn movie. “We’re not sure,” Robbie responded, and answer that’s sure to inspire conflicting emotions in those hoping for such a film. On one hand, it would seem that nothing has been greenlit. On the other, Robbie has definitely been party to certain conversations about the possibility. If the film does happen, Robbie has some ideas about what she’d like to see in it. “Just more of Harley,” she says. “I’m so not done playing that character yet, and there’s so much more to do with her, I think. Anyone who’s read the comics, you’ll see that there’s a million different storylines to explore. There’s so much you can do in the DC universe. I think it would be cool.